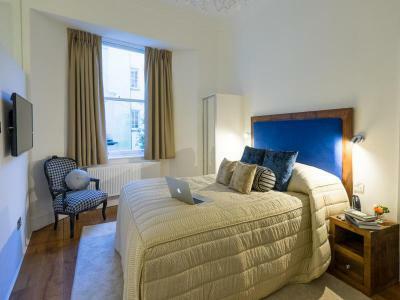 Berkeley Square Hotel is a boutique townhouse hotel situated in the fashionable Clifton area of Bristol. The Grade II* listed hotel is set in a picturesque Georgian square with an outlook onto grand period buildings and mature trees. The hotel restaurant, The Square Kitchen, is a popular place to dine locally, with al fresco courtyard dining in the summer. Berkeley Square has a stylish lounge and cocktail bar with accent pieces of designer furniture and a permanent exhibition space for internationally renowned contemporary artists. Considerate finishing touches feature in the bedrooms, including fresh cafetiere coffee and a decanter of Bristol Cream sherry. 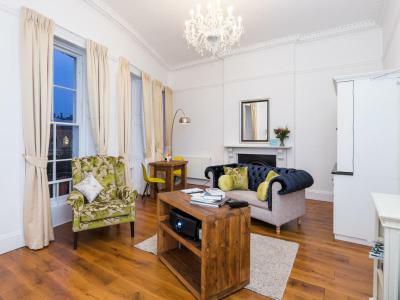 Luxury serviced apartments are available a short distance from the hotel. Leafy Clifton Village, the West End of Bristol and Bristol University are all a short walk from Berkeley Square. Guests have access to a nearby health club, Nuffield Health, at a concessionary rate. There is limited secure parking on-site. Contemporary style en suite bedroom offering free Wi-Fi, digital TV/radio, minibar (charge), writing desk, direct dial telephone, alarm clock, ironing station, tea and coffee making facilities, decanter of sherry, fresh fruit, newspaper (charge), toiletries, hairdryer, and key card access. Single bed. These doubles are adjacent to the Lower Deck area of the Square Club, and as such are very popular with guests who like to be in the middle of the action - still with all the facilities of the Executive rooms. 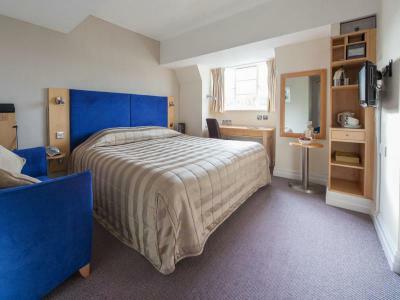 Offering free Wi-Fi, freeview TV/radio, minibar (charge), writing desk, direct dial telephone, alarm clock, ironing station, tea and coffee making facilities, decanter of sherry, fresh fruit, newspaper (charge), toiletries, hairdryer, and key card access. The best rooms in the Hotel, offering the most space and facilities, our Club rooms are designed with maximum comfort in mind. 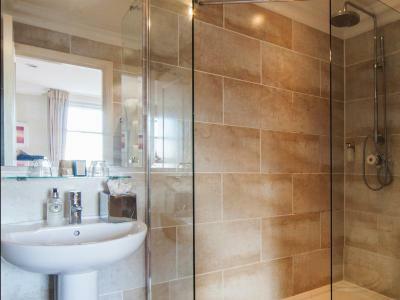 Stylishly decorated with luxurious Vi-Spring beds, flat screen TVs, work desk and en-suite bathroom with monsoon shower and Elemis toiletries. 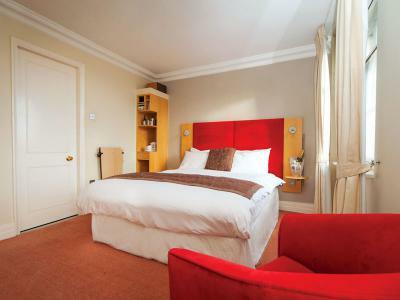 Most of our Club rooms have fabulous views over Berkeley Square and Bristol. Our Club King rooms have all the luxury facilities of the Club Double rooms but with a fabulous king size bed. Perfect for those that like a bit more space to stretch out. Stylishly decorated with luxurious Vi-Spring beds, flat screen TVs, work desk and en-suite bathroom with monsoon shower and Elemis toiletries. With Free Minibar! 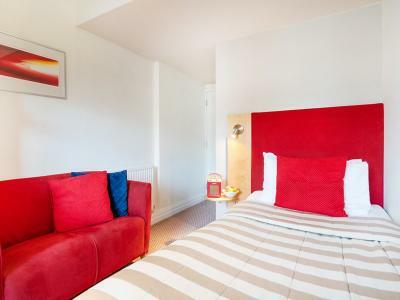 - Our Deluxe Suites offer the height of hotel living in Bristol with an open plan living area complete with kitchen and dining facilities and a separate bedroom with en-suite bathroom. Each suite occupies its own floor of an exquisitely renovated grand Georgian house and has a separate entrance to the hotel for extra privacy. Approx suite size - 409 sqf. Facilities include free Wi-Fi, digital TV/radio, cinema projector, minibar (charge), writing desk, direct dial telephone, alarm clock, ironing station, tea and coffee making facilities, decanter of sherry, fresh fruit, newspaper, toiletries, hairdryer, and key card access. Leave the M4 at junction 19 onto the M32 (signposted Bristol) and continue to the end, following the signs for the City Centre. Continue onto the A4032 (Newfoundland Way). At the traffic signal, turn right onto Bond Street (A4044). At St James Barton roundabout, take the 1st exit onto The Haymarket (A38). Continue forward onto Anchor Road and then bear right onto College Green, which then becomes Park Street. Keep in the left-hand lane on the one-way system and at the top of Park Street, turn left onto Berkeley Avenue, which leads onto Berkeley Square. The hotel is on your left. Follow the signs for North Side Road. Continue on North Side Road and at the roundabout, take the 1st exit onto the A38. Continue straight on the A38 and then bear left onto the A3029, which will lead straight onto the A4 (Hotwell Road). Turn left onto Park Street (A4018) and then left again onto Berkeley Avenue, which leads onto Berkeley Square. The hotel is on your left. Limited parking is available at a charge. There is a secure garage next to the hotel where guests can park their cars for a charge of £7 per night. Alternatively there is pay and display parking around the square opposite the hotel. Guests are assured the VIP treatment in the award-winning Square Kitchen Restaurant, one of Bristol's most innovative and exclusive places to eat. 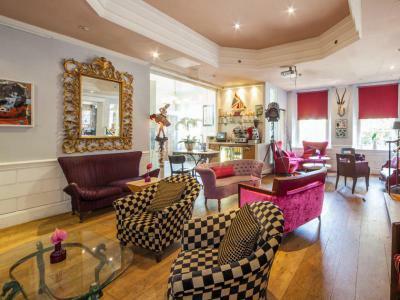 The restaurant is part of the Square Club, Bristol's first and most exclusive private members bar, accessible to hotel residents for the duration of their stay. The Square Kitchen has a contemporary feel with exclusive entry by swipe card, provided on arrival at the hotel. 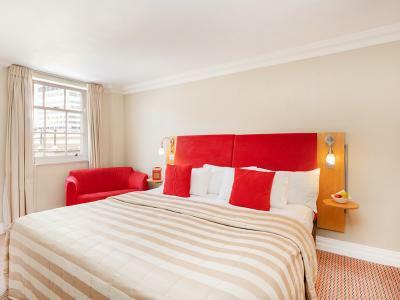 Berkeley Square Hotel has an arrangement with Nuffield Health Fitness and Wellbeing Centre, 10 minutes' walk from the hotel. Hotel guests can enjoy concessionary rates and benefit from a fully equipped gymnasium, dedicated spin studio, indoor swimming pool, sauna, steam room and health clinic on-site. 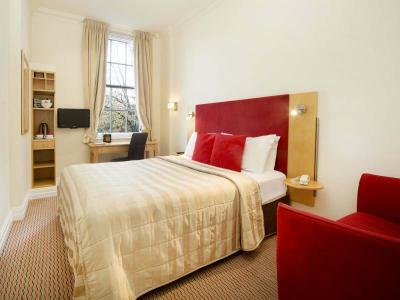 Berkeley Square Hotel guest rate is £7.50 (normal price £15.00).